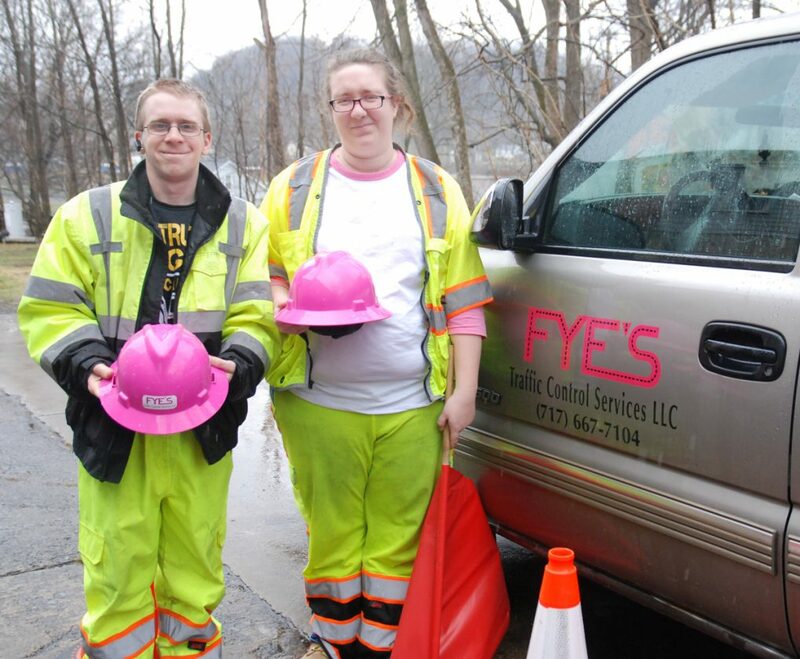 Robert, left, and Jessica Fye, owners of Fye’s Traffic Control Services LLC, stand with their company truck in Lewistown. Fye’s offers traffic control for construction zones, special events, emergencies and more. LEWISTOWN — If there is one thing the state of Pennsylvania has an abundance of it’s traffic. Whether it’s caused by road construction, a popular event or emergency situation there is a need for assistance to navigate those congested roadways. Fye’s Traffic Control Services LLC plans to fulfill that need. Owners Robert and Jessica Fye along with 20 employees specialize in temporary and permanent traffic control for a variety of situations. Owners Robert and Jessica Fye said Fye’s Traffic Control Services LLC can handle navigating traffic through construction zones, entering and exiting special events such as fairs and carnivals, around emergency utility work or any number of other situations requiring traffic control around an area. 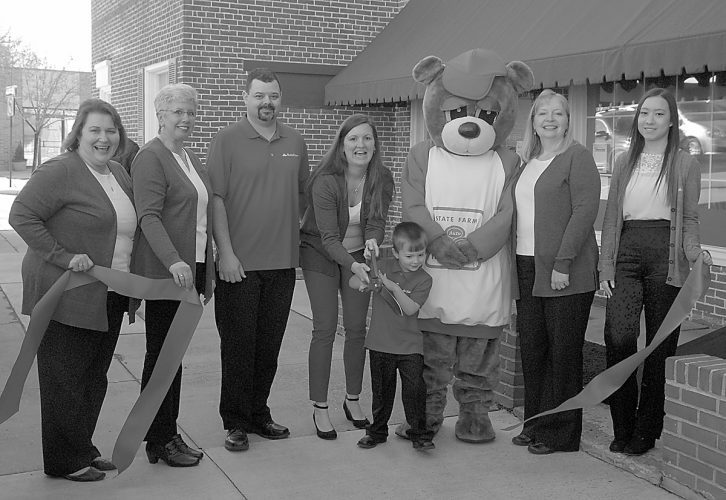 Fye’s is based in Lewistown, which, the Fyes said, makes it easier to fulfill area customers’ needs. Fye’s offers its services throughout the entire state of Pennsylvania with the hopes to eventually branch out to areas of neighboring states. Both Robert and Jessica Fye have several years experience working in the traffic control field with a national chain. 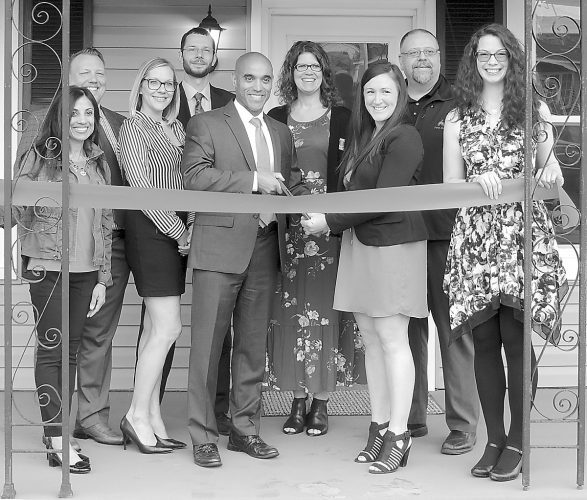 Tired of the impersonal nature sometimes associated with large corporations the Fyes decided to start their own company that would have a “more friendly and personal touch” toward employees and clients. “I love business. I love protecting the clients. I love forming those bonds with the people that we interact with.” Jessica said.